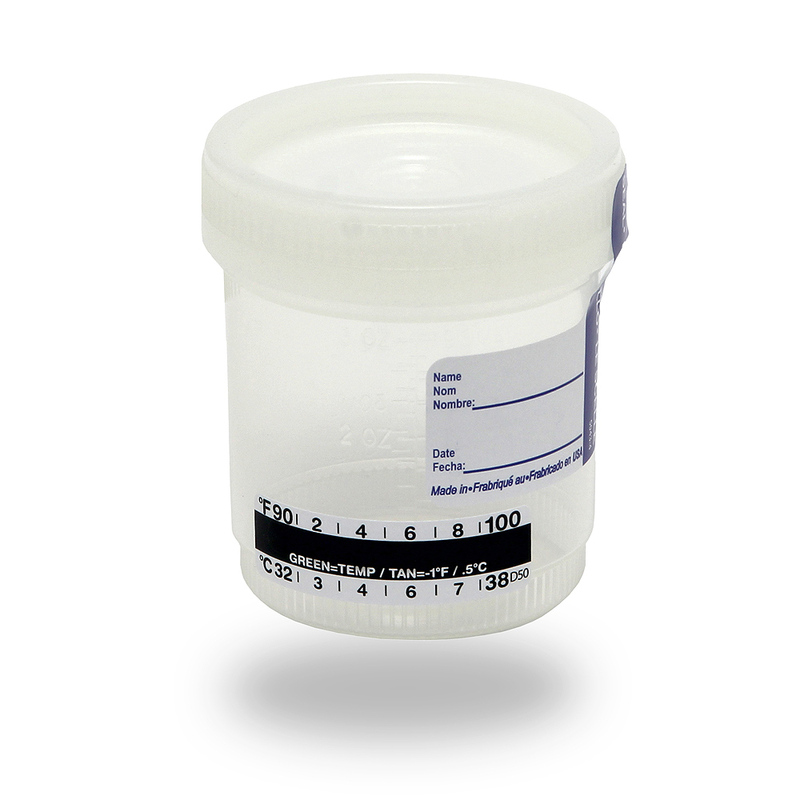 The 90 mL Sterile Screw Top Collection Cup with Temperature Strip comes in quantities of 100. 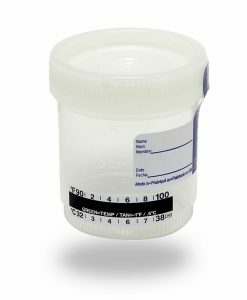 Simply use by unscrewing cap and have donor fill to 30 mL line. 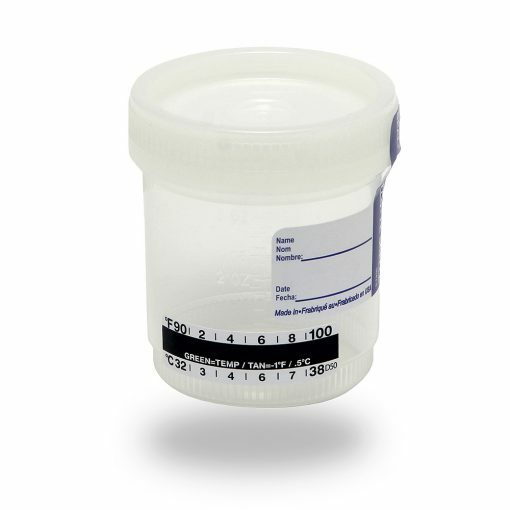 Once filled dip the drug test card, if you have a cassette you will pipette the urine onto the cassette.